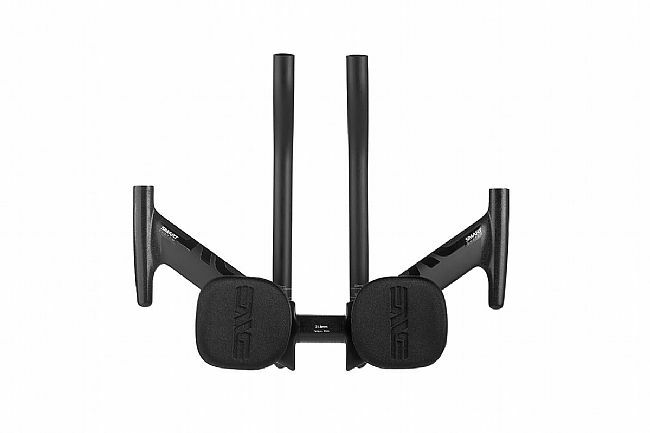 If you're on the hunt for the best way to reduce aerodynamic drag while on the bike, look no further than the SES Tri Full Aero System Handlebars from ENVE. 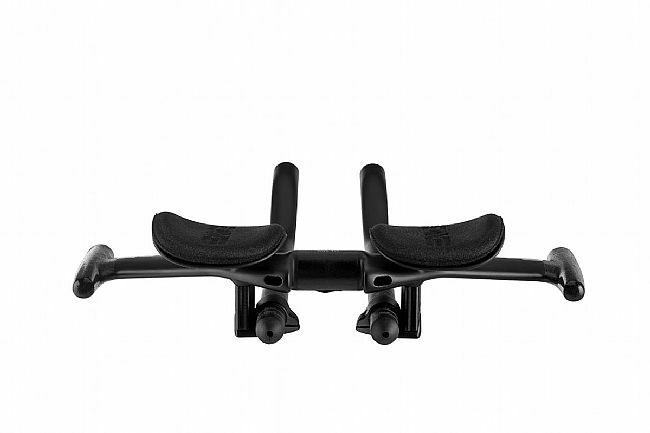 This highly adjustable handlebar allows you to optimize your position on the bike, either to meet the specifics of your pro bike fit, or based off of your preferences. 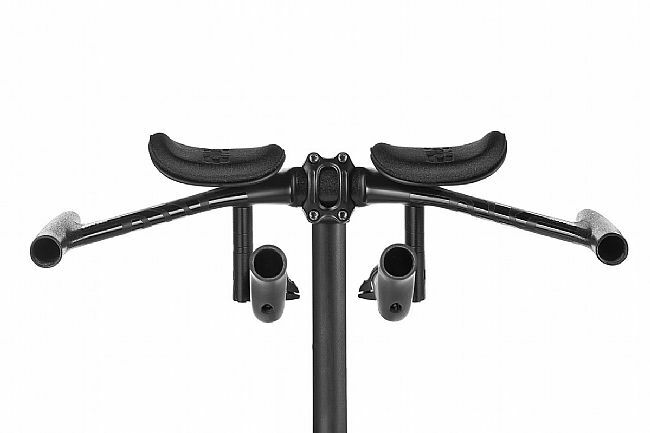 Offering more adjustability than most – and control over some areas that other bars don't offer – the SES Aero Bar is the most adjustable bar on the market, and to make things even better, every adjustment can be made with a 4mm hex wrench. 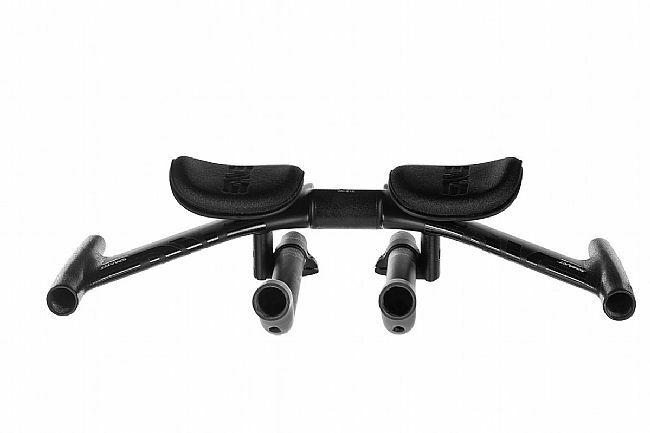 Constructed from 100% unidirectional carbon fiber with internal cable and wire routing, the SES Tri Aerobar is fully compatible with Shimano, SRAM, and Campagnolo systems. 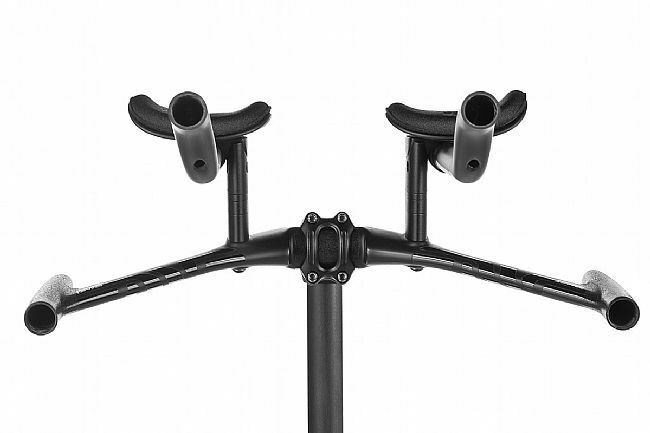 The 40cm wide reversible base bar features an aggressive forward sweep, reducing aerodynamics without infringing upon the strict dimensional ratio limitations set forth by the UCI. The full-carbon fiber extensions can be cut to either a J-bend, S-bend, or straight style depending upon rider preference. 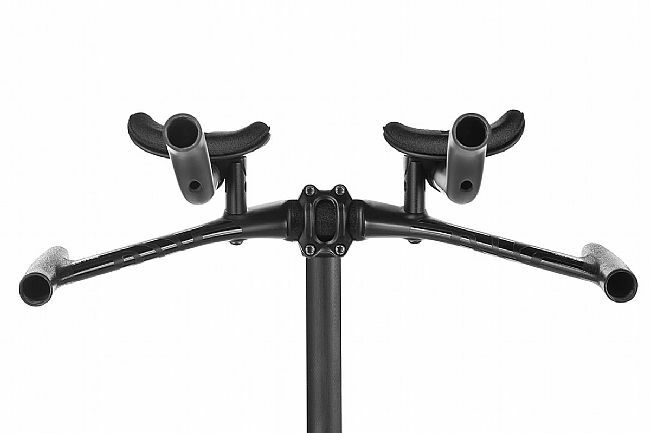 The extension and arm rest towers allow for 15 degrees of extension angle adjustment and the towers can be stacked from as low as 15 mm off the base bar to as high as 90 mm. The extensions may be run below or above the base bar. The pad carrier features an 8 hole pattern that can be reversed to fine tune the position of the elbow pads and width. Bar width (max): 40 cm. Spacers: 5, 10, 20 mm. Extension angle adjustment: +/- 15º. Min/Max Pad Width: 125 – 250 mm. Min/Max Stack Height: 15 – 90 mm.